403(b) Audits: If you have more than 100 eligible participants for ERISA purposes at the beginning of the plan year, your plan could be subject to audit. At Redwitz, Inc., we use tests designed for your specific plan. You can be assured that our employee benefit plan audit specialists will cover issues emphasized by the Department of Labor. Form 5500: Form 5500 is used for employee benefit plan sponsors to complete and fulfill their annual reporting requirement under Title I and Title IV of the Employee Retirement Income Security Act (ERISA) and under the Internal Revenue Code (exceptions: church plans that do not elect to be covered by ERISA; governmental plans; and small, unfunded health and welfare benefit plan arrangements). By engaging an accounting firm that specializes in employee benefit plan audits, the plan sponsor is mitigating its risks associated with any such DOL inquiries. Keep in mind; it is the plan sponsor’s fiduciary responsibility to engage an experienced and qualified accounting firm to perform its employee benefit plan audit. 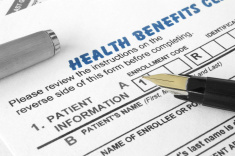 Non-compliance with regulations governing benefit plans can be costly to your company. Redwitz, Inc. is a member of the American Institute of Certified Public Accountants’ (AICPA) Employee Benefit Plan Audit Quality Center for CPA firms. The Center is a national community of CPA firms that demonstrate a commitment to employee benefit plan audit quality and raise awareness about the importance of employee benefit plan audits. The Center provides members with best practices, guidelines and tools CPAs need to perform quality benefit plan audits and better serve their clients. We have extensive experience in auditing employee benefit plans and we are committed to our continuing education related to benefit plans. As part of this commitment, we attend the annual AICPA Employee Benefit Plan Conference and other training and internally provide all auditing staff personnel with employee benefit plan audit training. Redwitz, Inc. is committed to quality and outstanding service. Our emphasis is to ensure your plan is being served by qualified professionals who can not only provide the compliance audit services that you require, but can also make recommendations and assist you in improving the plan. We accomplish this by having active involvement by experienced employee benefit plan auditors during all stages of the engagement. At Redwitz, Inc. we use a standardized approach to efficiently address all the requirements. The result is an employee benefit plan audit performed timely and accurately.